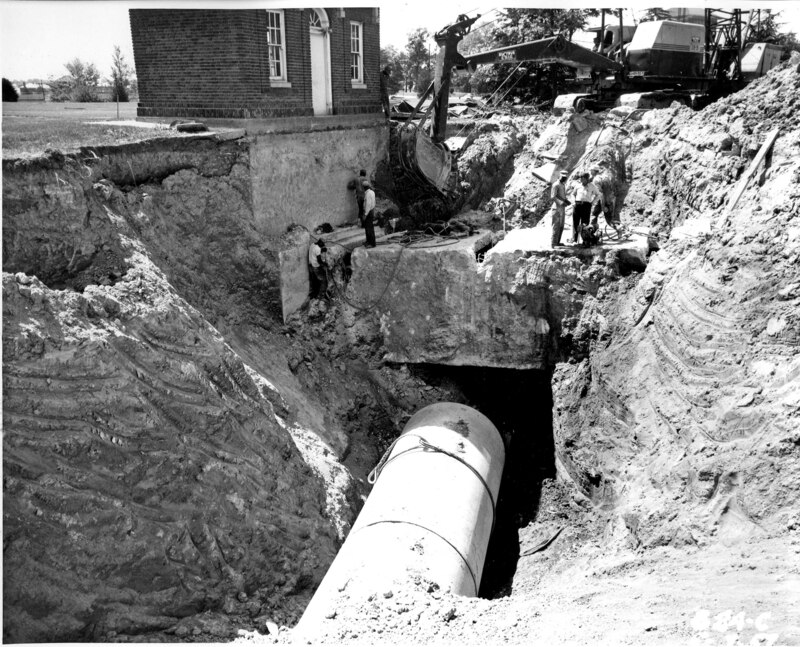 Back in 1956 – 1957 a new 84″ pipeline was laid to connect the Montebello Filters with South East Baltimore, doing away with a pumping station. 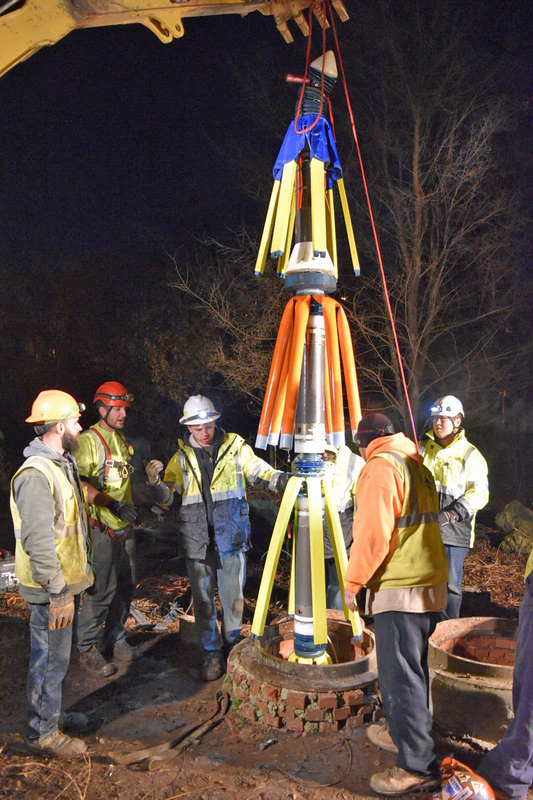 It was inspected this week using what is called a Pipe Diver. A mini-sub looking thing with a bunch of probes. No camera unfortunately. 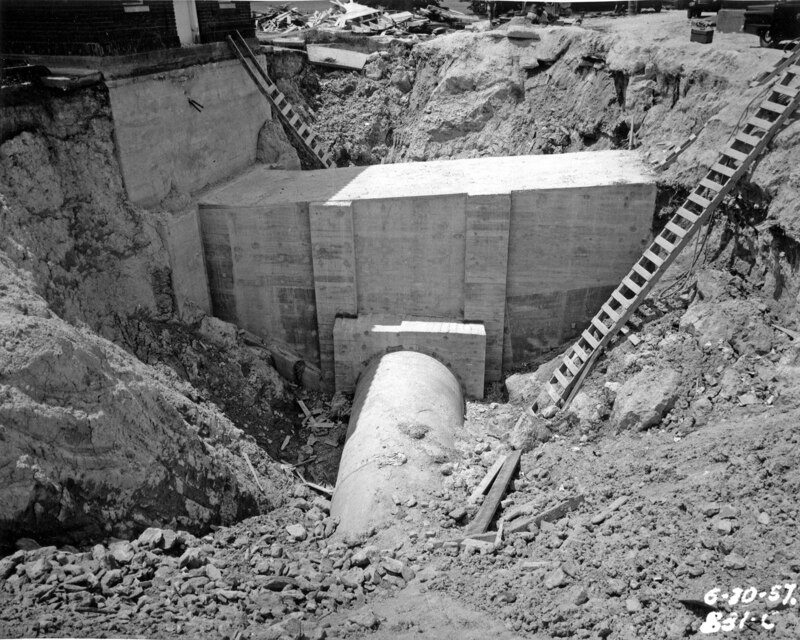 Here is the pipe prior to connection to the filtered water reservoir in 1957. The reservoir (20 million gallons) is behind that house on the left, underground. 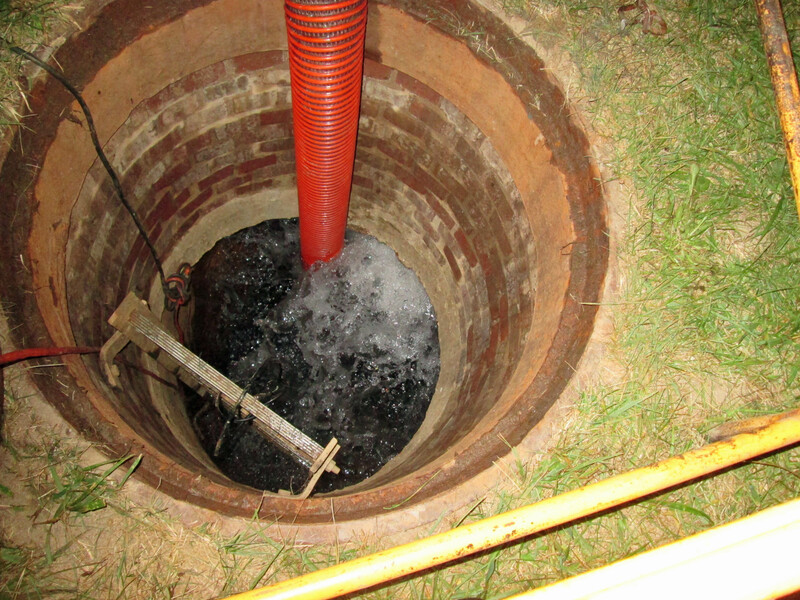 Connection to the clear-well chamber. Years later another connection would be made on the opposite side of the reservoir. The two conduits are connected about 100 yards from the above point. Back in June, while making my rounds thru the property, I saw a contractor digging a hole. Asked what he was doing and he said he needed to rebuild this manhole and put a new valve on the pipe. 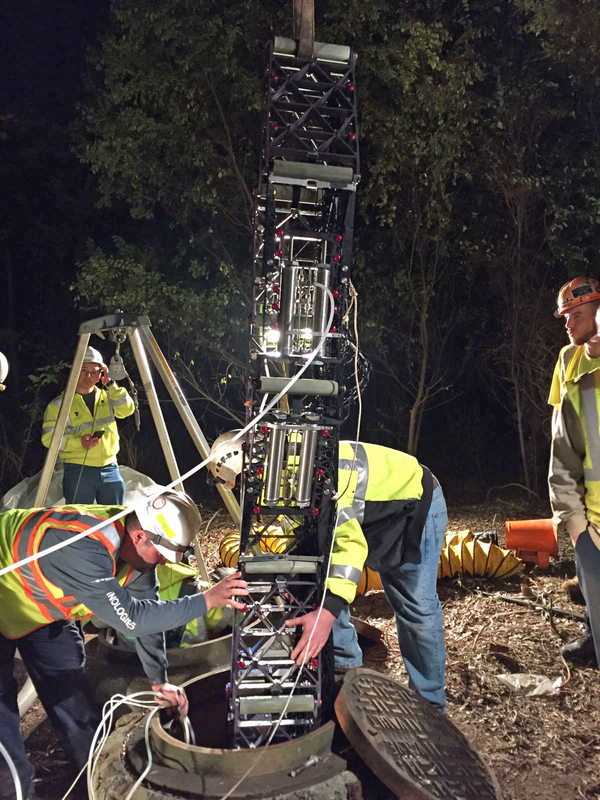 That they were getting ready to inspect the 84″ pipe. I asked if he knew that this pipe was full of water. He said he knew and it would be alright. Here is another case in the City when agencies do not communicate. We had no idea they were doing a pipe inspection. 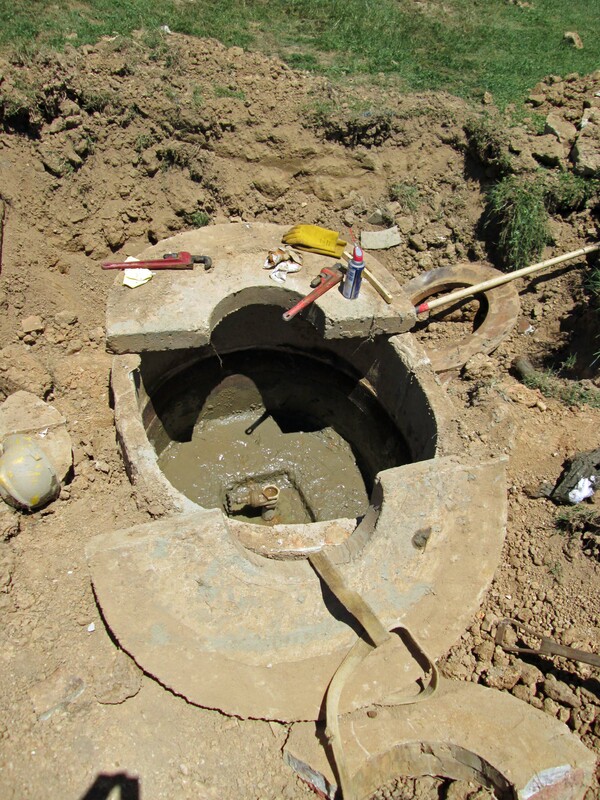 A month later, a contractor comes on site to look at a possible entry point for their pipe diver. I showed them and in November they came back. They could not relieve the pressure in the pipe enough to insert their tool. So they had to postpone and rethink their strategy. This week they came back. It took a lot longer to relieve the pressure than what they thought. This is the net that was inserted downstream, about 3 miles. It was there to catch the pipe diver. 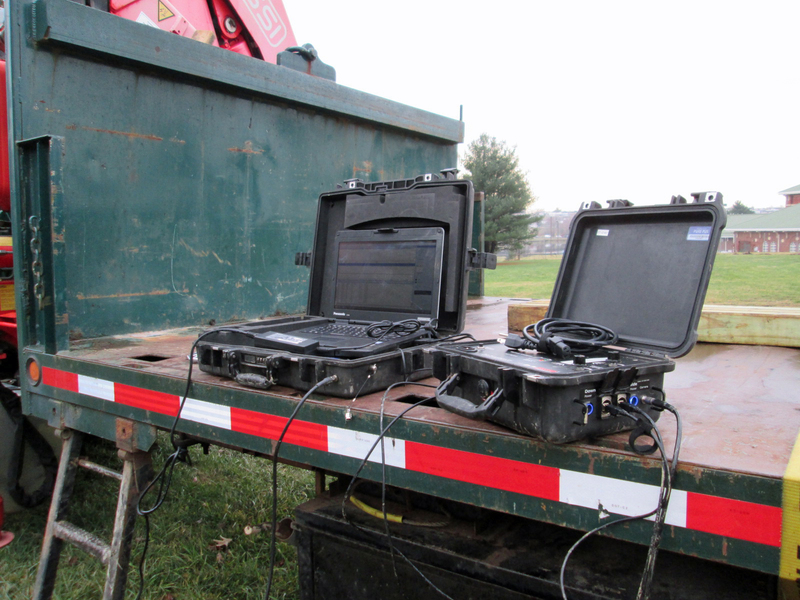 This is the equipment that was used to track their diver. 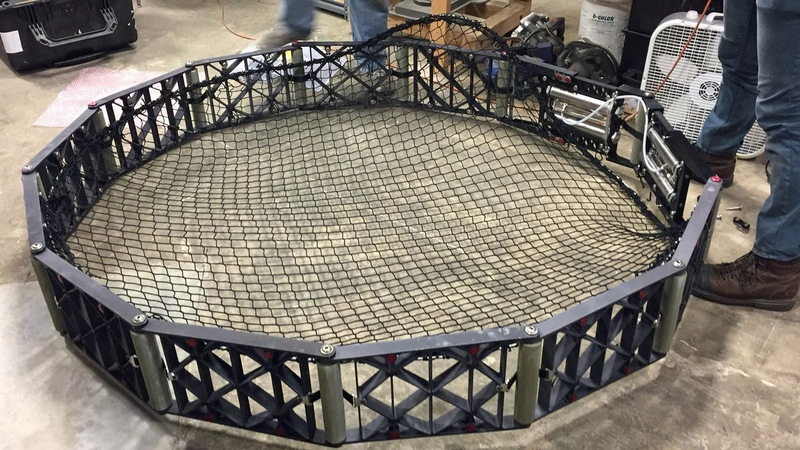 It only took about 3-1/2 hours for the machine to flow by water pressure to the net. Removing the pipe diver tool. 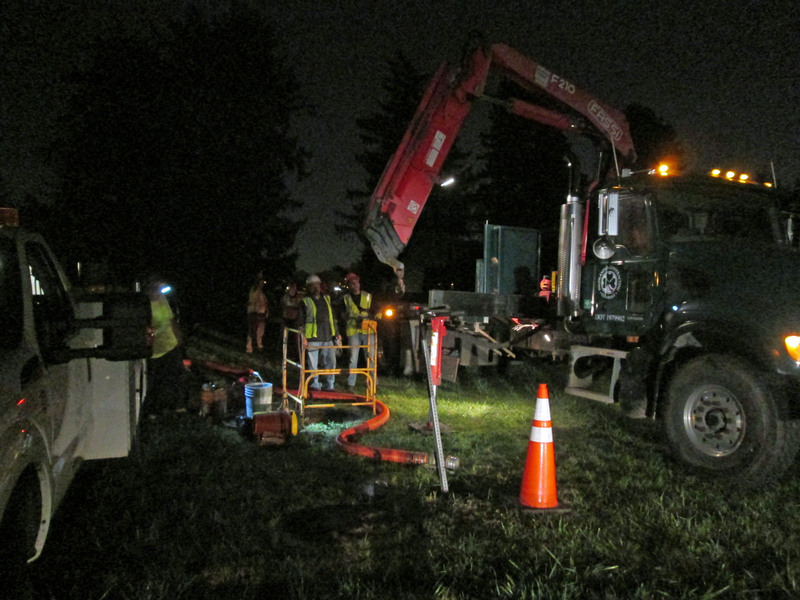 hopefully the information obtained is all good info – that the pipe doesn’t need repairs or in worse case, replacing.